The Vikings raid again on Nov. 30 when History’s hit drama returns for the second half of its fourth season. The series, created by Michael Hirst, moves to 10/9c Wednesdays. Let’s recap Part 1 of the season. After his defeat in Paris by his brother Rollo (Clive Standen), Viking ruler Ragnar Lothbrok (Travis Fimmel) left Kattegat and his family to lick his wounds. The series jumped forward in time during “The Last Ship” episode, introducing Ragnar’s now adult sons and showing that Queen Aslaug (Alyssa Sutherland) was in charge. In the midseason premiere, Ragnar’s reappearance in Kattegat triggers a chain of events that only the Seer could have predicted. Ragnar will face his family and his people while dealing with unfinished business in Wessex with King Ecbert (Linus Roache). His ex, Lagertha (Katheryn Winnick), plans a power play in Kattegat. Their son Bjorn (Alexander Ludwig) prepares to fulfill his dream of exploring the Mediterranean in a sleek new boat built for him by Floki (Gustaf Skarsgård). 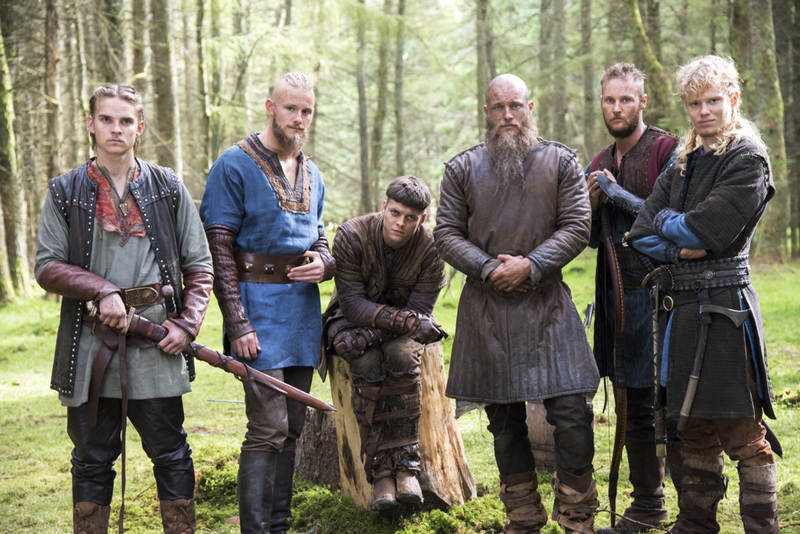 New actors joined Ludwig in the half-season finale to play Ragnar’s sons. Marco Islø stars as Hvitserk, Alex Høgh Andersen is Ivar, Jordan Patrick Smith plays Ubbe and David Lindstron is Sigurd. You can expect to see a lot more of them beginning Nov. 30. Hirst serves as executive producer of “Vikings” with Morgan O’Sullivan of World 2000. Sheila Hockin, John Weber of Take 5 Productions, Sherry Marsh, Alan Gasmer and James Flynn also executive produce. Jana Bennett and Arturo Interian are the executives in charge of production for History. “Vikings,” from MGM Television, is an international Irish/Canadian co-production by World 2000 and Take 5 Productions. It is produced in association with Corus Entertainment. MGM TV serves as the worldwide distributor of “Vikings” outside of Ireland and Canada.